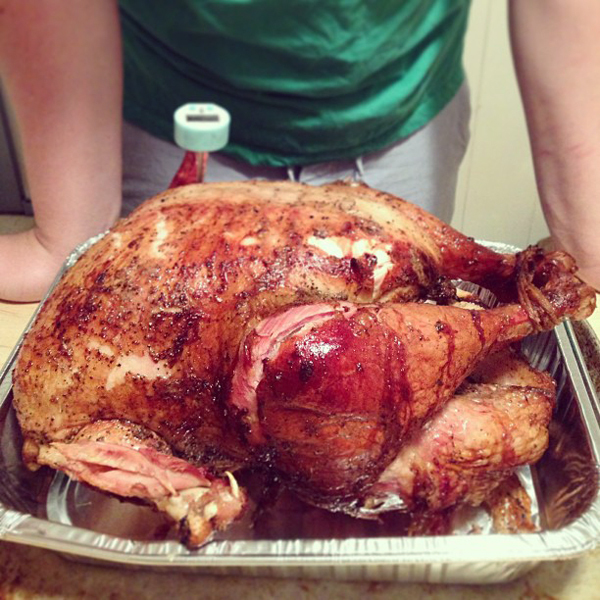 Last Thanksgiving I bought a turkey on sale and put it in the deep freezer. 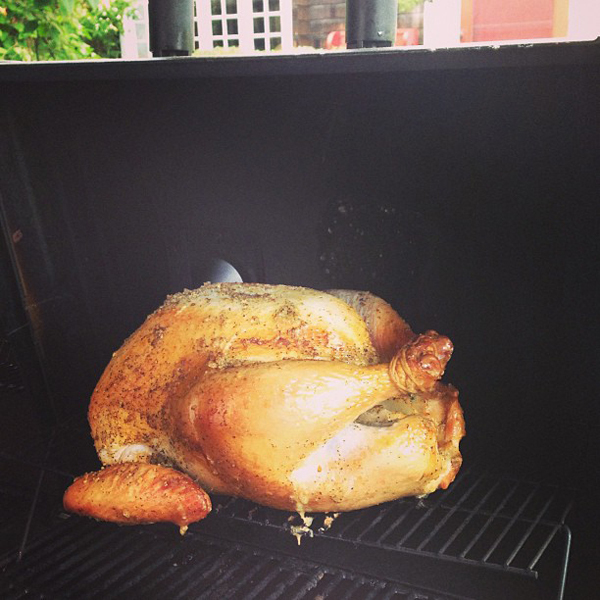 Then I read in Martha Stewart Living about how you can grill a turkey. We thought we would give it a try. We just rubbed it with olive oil and sea salt, stuffed it with rosemary, thyme, onion and garlic, then cooked it on the grill for a little over three hours. An aluminum foil pan underneath the bird caught all the juices for gravy. I thought deep fried turkey was good, but grilled turkey has topped it. So good! oh that looks so good. I am really surprised it didn't burn in any spots. 3 hours is a long time on a grill. My family and I are coming to New York for vacation. We are going to see Boldt castle and Kingston Canada. Then Rochester, Niagra and Toronto. Any ides on what we shoud see in Rochester? Denise - Things to check out in Rochester - George Eastman House, Seneca Park Zoo, Seabreeze, Park Ave area, High Falls, Artisian Works, Memorial Art Gallery, Charlotte Beach with Carousel, Schoen Place & Erie Canal. Great! Thanks so much. I looked up Artisian Works and that looks great. We have two grown boys and my oldest is a Sr in Tyler School of Art/Temple's Honors program and we love to check out local artist when we travel. This will be perfect. Maybe we will see you out and about. We will probably be the family that looks lost and crazy for spending so much time in the car. At least we all drive!